species from the Striariidae family. Sequoia National Park in California may be famous for its massive trees, but some very tiny creatures that live there are also making news. 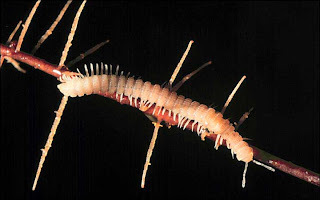 Biologists have discovered new species of spiders, millipedes, and other critters deep in the underground caves of the park. 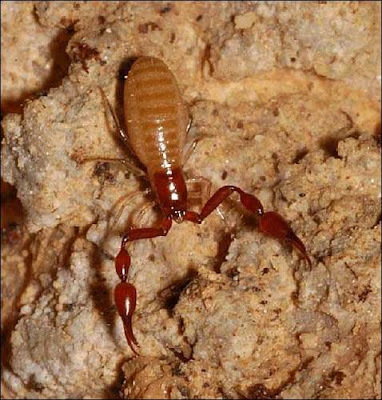 So far, reports Sasha Khokha of member station KQED, scientists have discovered 27 new species in caves throughout Central California, at Sequoia and at Kings Canyon National Park. They found creatures so tiny they couldn't pick them up with tweezers. Some had to be collected on the delicate ends of a paintbrush. 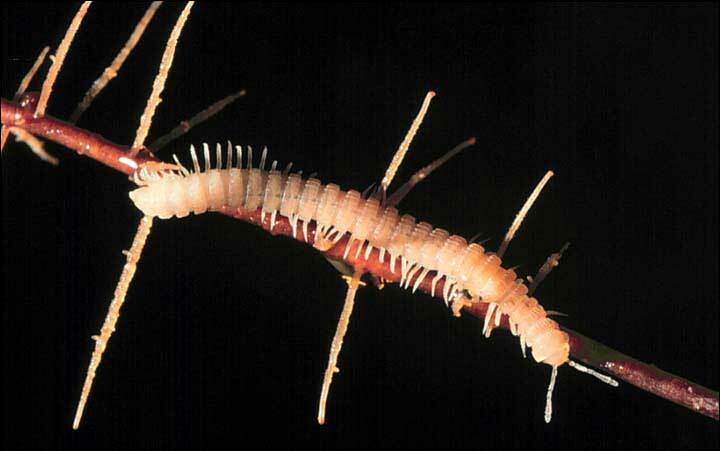 The spiders and centipedes were pickled and shipped off to taxonomists all around the world. The experts have confirmed that while these little creatures may be close to relatives above ground, they've adapted into completely different species. Now, the next task is to give all of them names. This new species of pseudoscorpion lives in Walk Softly Cave, which also contains a bat colony. 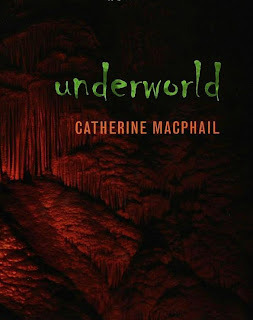 These eye-less animals are predators that hunt in the complete darkness of the cave. longest cave formed in salt! 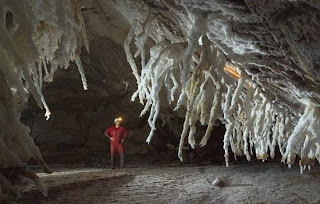 It has exceeded the former longest salt cave - Malham in Israel - 5685 m.
The cave is located in Iran - island Queshm in Hormus - the name means "Cave of three nudes" often abbreviated to 3N-cave, as the first explorers were naked the first time they explored the cave as there is a large and deep salty lake at entrance. The Czechs were able to connect The Big ponor cave to the 3N cave. The expedition will return to the Czech Republic on 9 February. Click below for more images and a survey of the 3N cave system in Iran.